Illesteva Milan 2 - Havana w/ Blue Mirror Need Help? 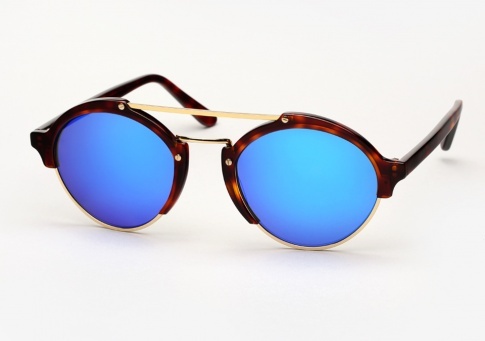 An original Illesteva design, the Milan 2 is a rounded acetate and metal frame with a double bridge. Its contemporary and avant-garde, yet very wearable. The Milan 1 and 2 are the exact same shape, except the Milan 2(54mm) is larger than the Milan 1(49mm).